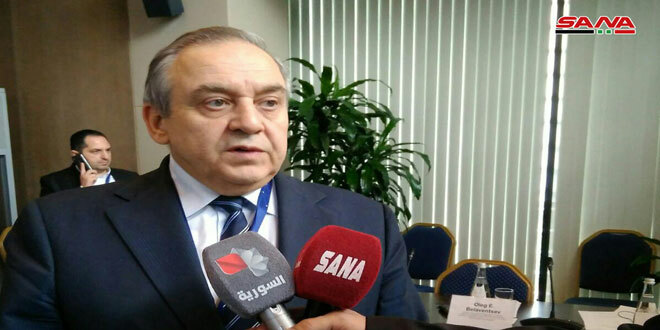 Damascus, SANA- Deputy Foreign and Expatriates Minister Fayssal Mikdad affirmed on Thursday that Syria will confront any Turkish aggression or military action against its territory with appropriate response. “We warn the Turkish leadership that in the event of initiating hostilities in the area of Afrin, this will be considered an act of aggression by the Turkish army on the sovereignty of the Syrian Arab Republic’s territories in accordance with the international law known to the Turkish side,” Mikdad said in a statement read to journalists at the Ministry HQ. “We note that the Syrian Air Defense has regained its full strength and is ready to destroy the Turkish air targets in the skies of the Syrian Arab Republic. 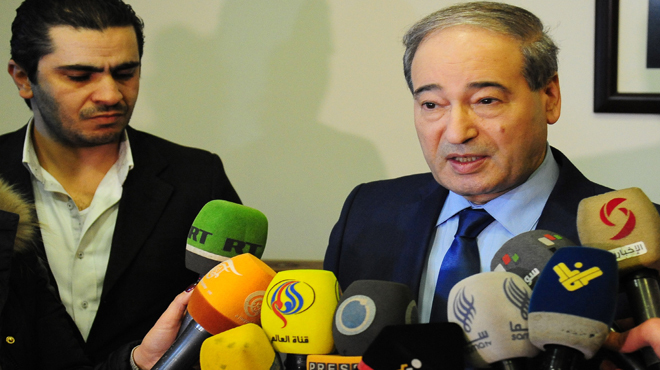 This means that in the event of Turkish airstrikes on Syria, the Turkish side should realize that it is not going in a picnic,” he added. 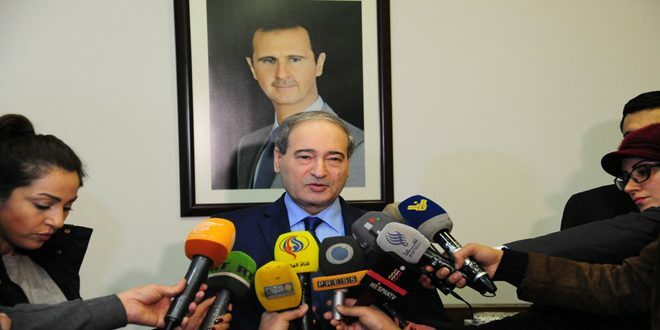 Over the past years, Syria has endeavored to build the best relations with the neighboring Turkish people as it has always been keen to ensure that the Turkish people are not harmed, whether within the framework of terrorism or within the framework of preserving the territorial integrity of Turkey, Mikdad said. 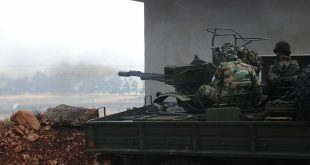 He added that Ankara, in the event of any military action, will complicate its position as one of the sponsors of the settlement in the crisis in Syria and that there will be no difference between the Turkish practices and the practices of the terrorist groups that targeted Syria over the past seven years. 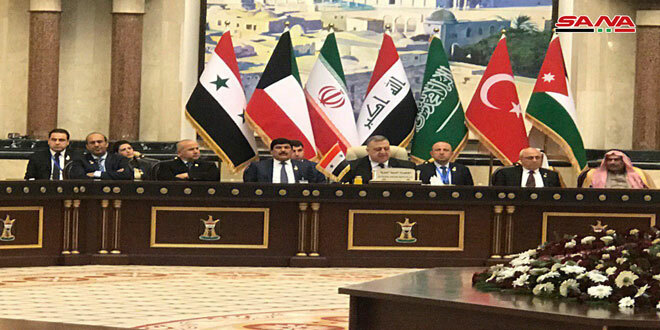 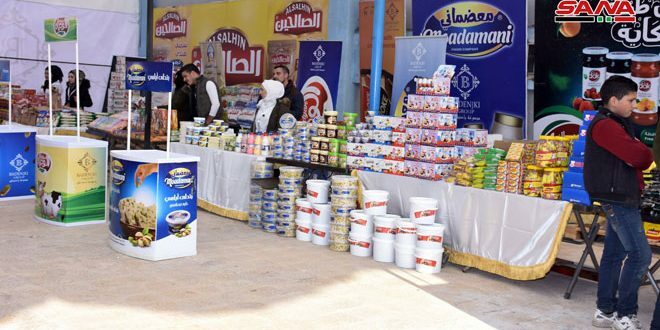 “At the same time, we must take into account the support provided by the Turkish leadership to the terrorist groups by arming, transferring, financing and cooperating with terrorists in order to kill the Syrians and destroy their country,” the Deputy Minister said. 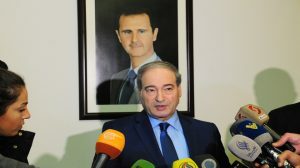 He went to say that Syria believes that what should be discussed in this round is what the Syrians agree upon without preconditions or preconceptions of the Special Envoy because this is fundamentally contrary to his mission assigned by the UN Security Council and within the framework of UNSC Resolution no.2254.